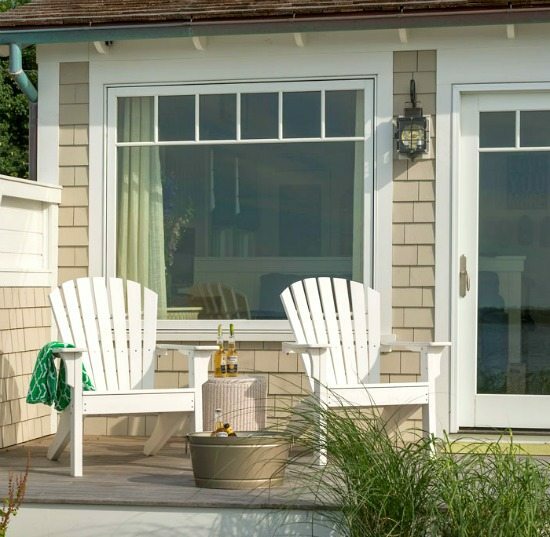 Step inside this charming New England beach bungalow and see what you can do with a small space! 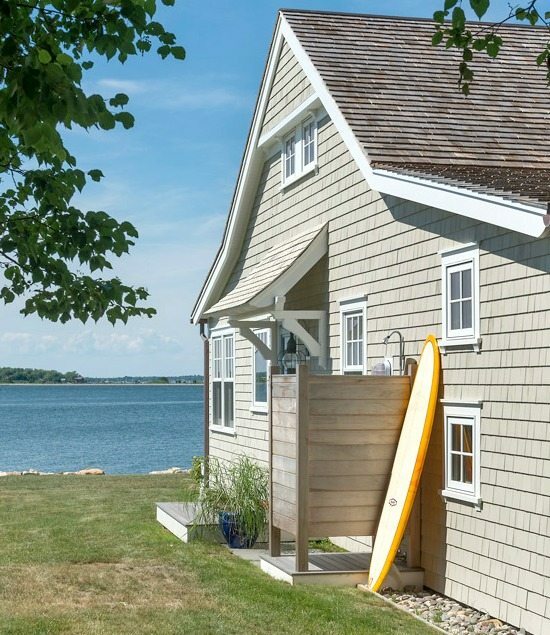 Designed by Ron DiMauro Architects and located in Portsmouth, Rhode Island, this small beach bungalow is just over 900 square feet. 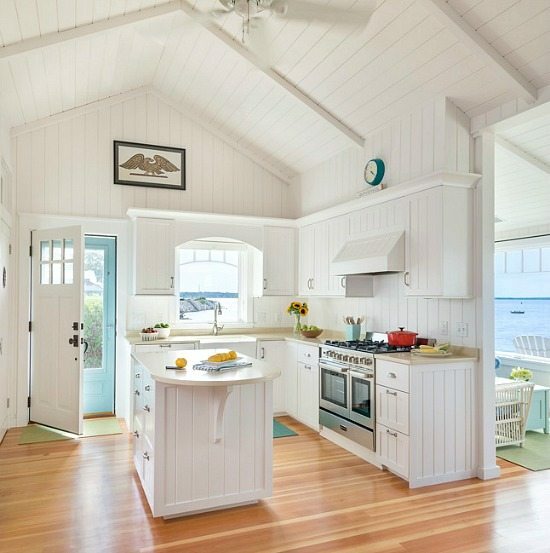 The open concept, white walls, high ceilings, simple furnishings, all the light flooding in, not the mention the water views, make the bungalow feel very spacious. I wouldn’t miss a thing! 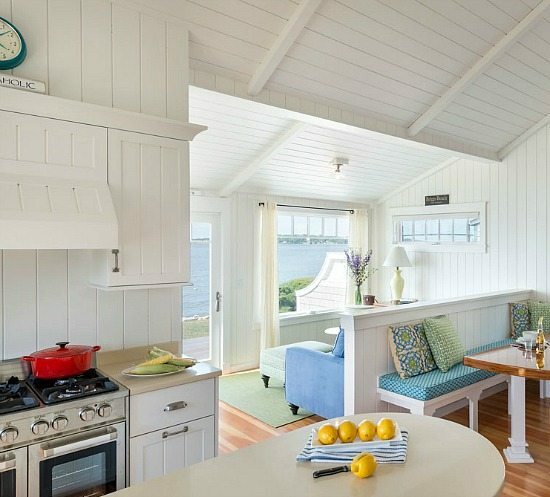 The small living room is the best spot in the house. I could sit there for hours just looking at the ocean. 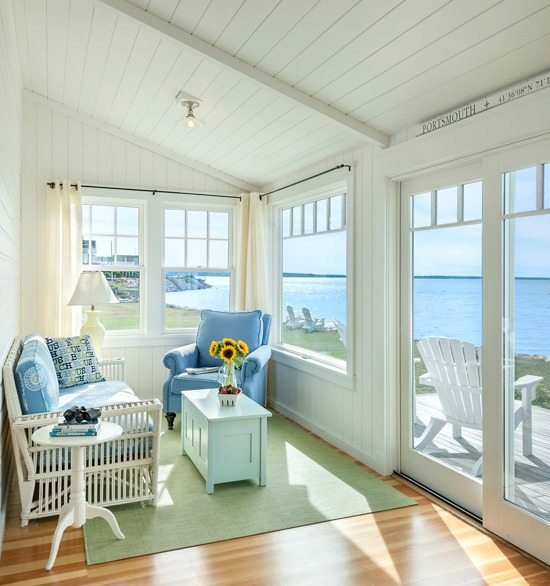 To get the cuddly hooked beach house pillow, go here! 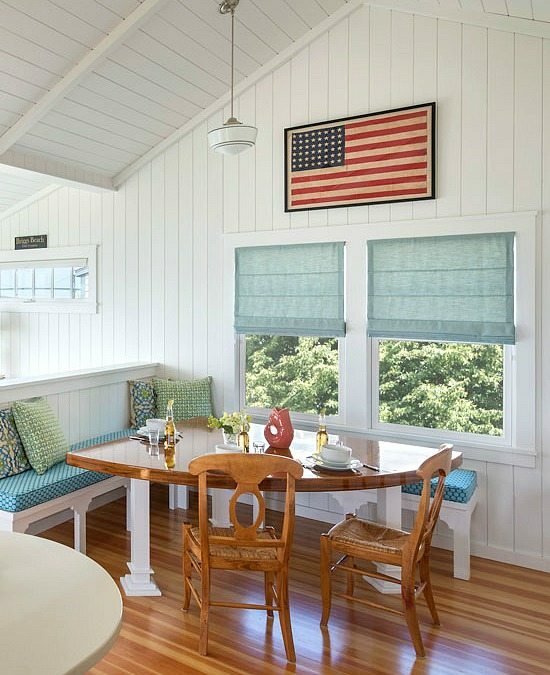 And of course, the white Adirondack Chairs out on the patio are the perfect addition to the beach bungalow’s theme. The classic loungers to enjoy warm summer days, all wrapped up in a Cozy Throw when days are cooler.